I have returned from the dead and am back from hiatus. This brief intermission was due to moving and real-life delays. 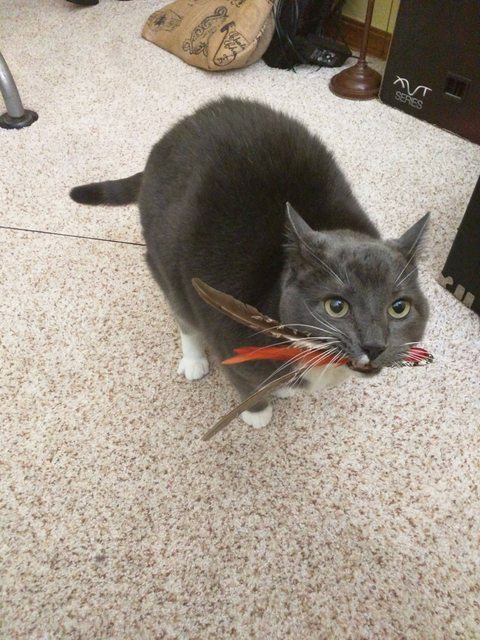 Please enjoy this entertaining image of my cat carrying his favorite toy as a gesture, re-welcoming you to this blog now that I am back from hiatus.